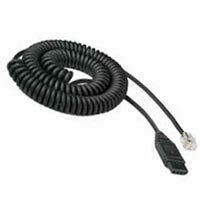 Use this cord when connecting a VXi V-Series Headset to a most office phones. May not work on some models of Avaya or Cisco phones. Please call if your require assistance selecting the correct cable. Works with VXi V-Series quick-disconnect headsets!